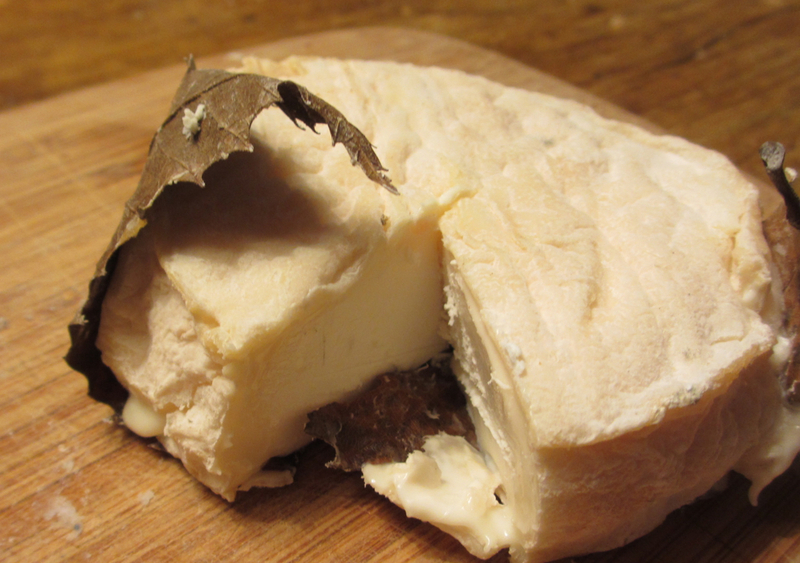 Mothais sur feuille: a creamy champion worth an AOC. 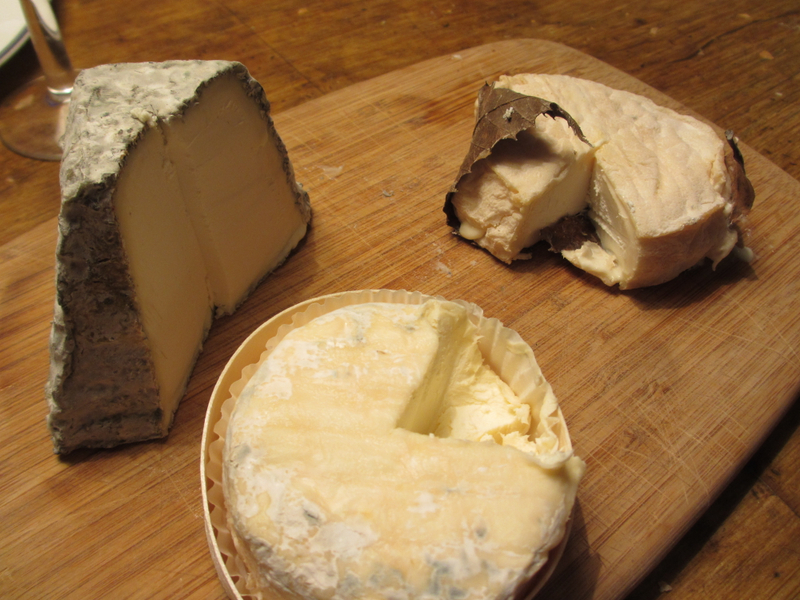 It is indeed a lovely cheese made of full-fat goat’s milk, a real chèvre that is, affinated for about 15 days. There aren’t many producers and only nine who do it farmhouse-style. The overall yearly output reaches hardly 200 tons. The Mothais makers have tried for years now to get an AOC label of their own but they’re not yet there. I very much like that little cheese which is snow-white on the inside, creamy-fluffy, and shows a wrinkled rind, sometimes with some blueish traces. It always sits bedded on a leave (it might be sycamore or chestnut) which isn’t just decoration but helps regulate humidity during the process of ripening. And, of course, the leaves add flavour. They are hand-picked from the trees or “caught” in nets (they may not have touched the ground before usage). And they bring some raw nature to our tables which is very welcome. Only recently, I had some Mothais together with a great St.-Marcellin and a noble pyramid from Valencay. The trio made a great finish of a nice family meal here in Paris. Never forget: Goat cheese likes white wine and certainly no heavy reds. And although you’ll find, as always, many ideas on how to use the cheese as a cooking ingredient – just don’t do it. Have it with a piece of good bread.